Happy July! It is hard to believe that we have already closed out the first half of 2017. The speed of life has accelerated to near incomprehensible levels and I am constantly reminding myself to slow down, breathe and invite stillness into my life even if it is just for 5 minutes at a time. Symbolically, the month of July represents independence with the celebration of 4th of July and the adoption of the Declaration of Independence 241 years ago. In these politically charged times, the work of the founders of the US and our collective history has special meaning and all over the US there will be celebrations, fireworks, cookouts and lots of conversations! 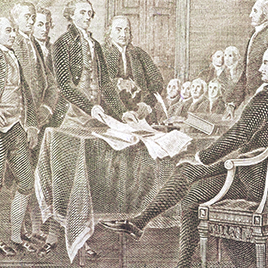 If you can, take time to read and reflect on the Declaration of Independence. It is generally printed in all local newspapers, but if you have trouble finding it, here's a link. A lovely 4th of July ritual to consider is creating your own personal "Declaration of Independence." How do you define your own independence? Good health, vitality, mobility are essential in maintaining one's independence on an individual level, but what else? Do you have financial, emotional, or other physical goals? Take a few moments while the grill is heating up or while the fireworks are bursting in the air and think about what independence means to you. Come up with a list of goals or, if you are already well on your way to success, a list of accomplishments to praise how far you have come already. In this newsletter, you'll find some great information to support you on your way to physical independence, including information on how to exercise optimally for your blood type, a success story from a Blood Type Diet follower and a tasty, picnic-ready recipe. I think you'll find that living true to yourself and your nature can be both simple and very rewarding. Here's to your independence and a wonderful month of July. For people who are just starting out with the Blood Type Diet, food always seems to be the focus; and rightfully so. Changing your eating habits to cut out avoids and add beneficials is the main catalyst for positive change. But after you have regulated the foods you eat and your body has reaped the initial benefits, why not double down? You have heard it in nearly every commercial for weight loss before: diet and exercise work hand in hand. Although most of these plans mention the correlation, few actually personalize both experiences to benefit you. Your Blood Type is the key to not just the foods you eat, but also the activities that best suit your body. 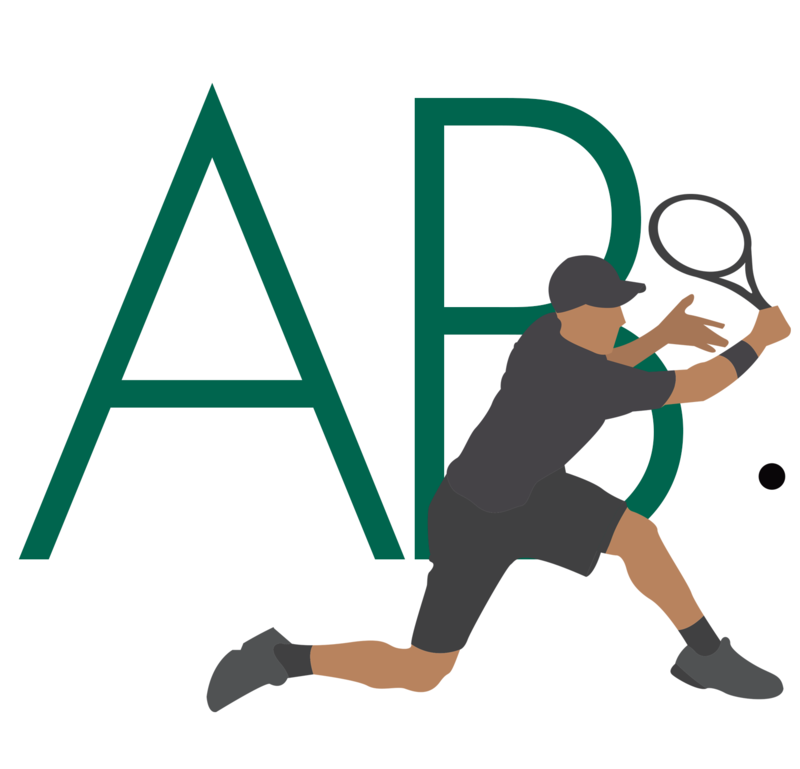 This month we have a special guest, Eric Morrison from the YouTube channel 4Course to guide you through some basic exercises that work best for each blood type. While the video touches on some great specific examples for each type, here are some general guidelines to remember that will help you optimize your workouts for your body! 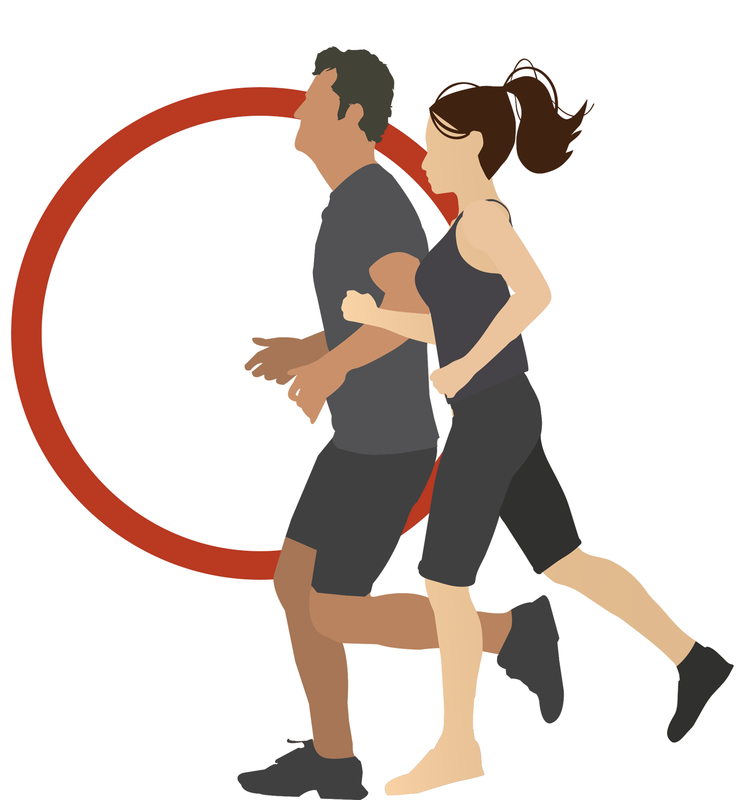 A regular, intense exercise program is more important for Type O individuals than any other type. The most successful form of exercise is cardio-based, including running, cycling, swimming and martial arts. If you are incapable of anything too high-impact, start with walking and make it increasingly brisk as you get stronger. The main unifying thread that makes all the exercises for Type O’s effective is an elevated heart rate, which plays a key role in lowering stress, balancing your emotions and shedding pounds. 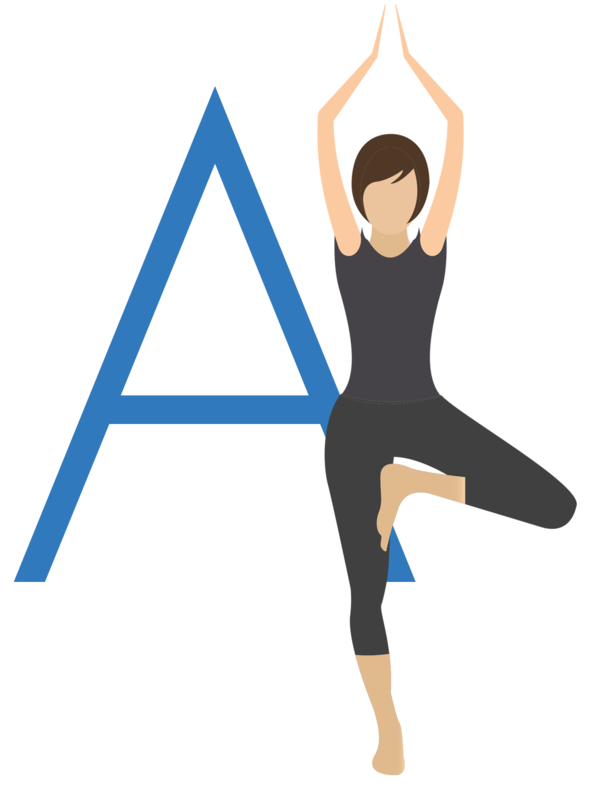 Type A individuals do best with low impact, relaxation based workouts including tai-chi, aerobics and yoga. Although these sort of calming exercises are best, it doesn’t mean you can’t break a sweat in the process. Even if you prefer some higher impact activities, maintain mental calmness to benefit your body most. Heavily competitive sports that strain your body and your mind will stress you more than help you. A calm mind is important at all times. To optimize your experience with calming exercise, train your breathing first and your muscles second. Once you get used to steady, relaxed breathing patterns, your muscles will become less tense and you can tone them through flexibility-based motion. 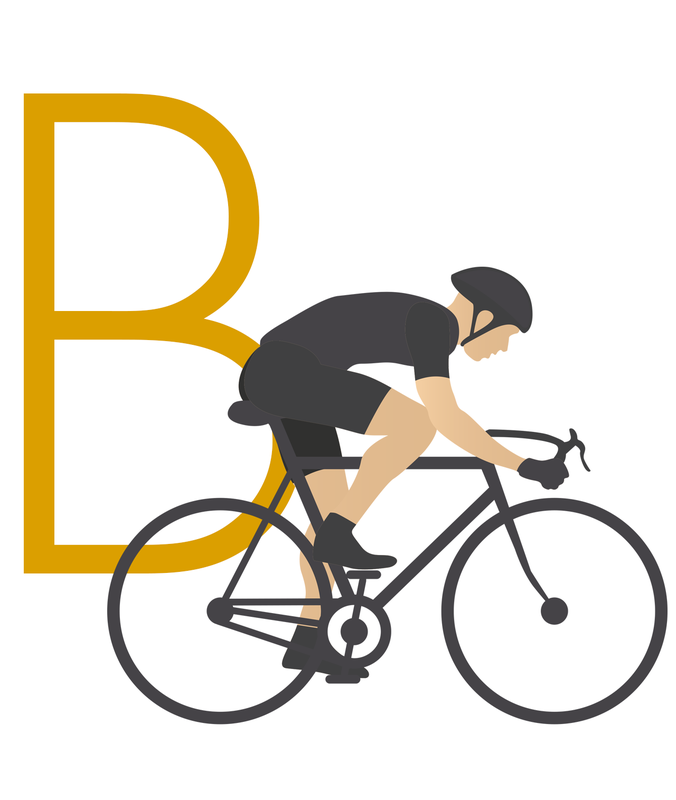 B is for balance when it comes to exercising. 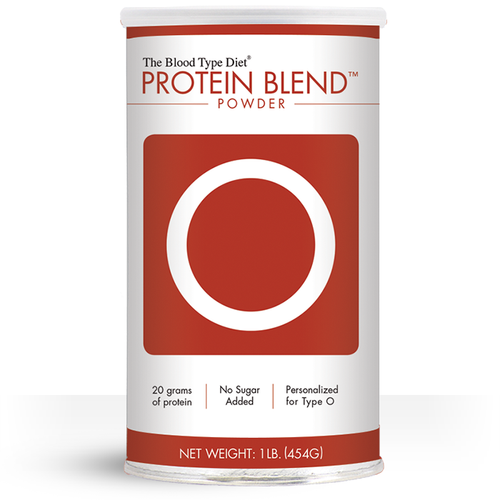 A good mix of the intense exercise from Blood Type O and relaxing ones from Type A is ideal. Try 3 days of intense with 2 days of relaxation, split up however you find it most comfortable. Some people like to have all their intense workouts first then have cooldown days of yoga and tai chi, while others like to alternate back and forth. Whatever pattern works for you is just fine, as long as you mix the two types of exercises. Individuals with Blood Type AB usually share characteristics from both of their namesakes. Exercise is no exception. Like Blood Type A individuals, Type AB will find the greatest stress release and health from meditative activities. But they also crave some balance from their B counterpart, which pulls in the need for some more aggressive workouts from time to time as well. 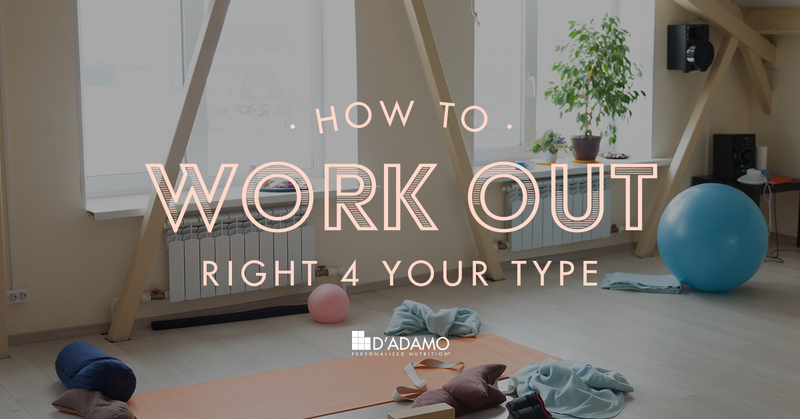 Like Type B’s, Type AB’s should have a regimen that includes a bit of both relaxed and more high-octane exercises to truly improve their health. With all the working out you’ll be inspired to do after this month’s newsletter, it’s important to give your body the energy it needs to replenish! One of the most common practices is to have protein shakes; a low calorie but revitalizing option. 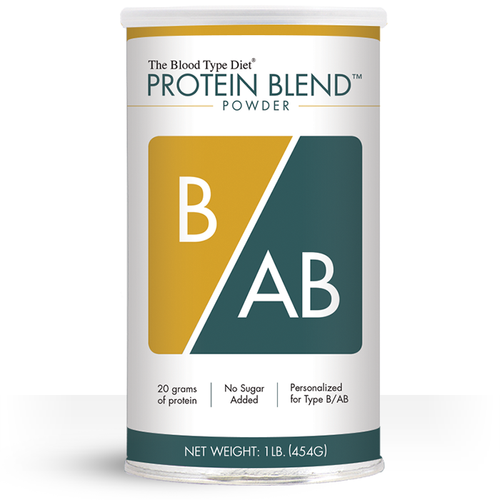 As with anything you put in your body, these shakes should be optimized to your blood type. 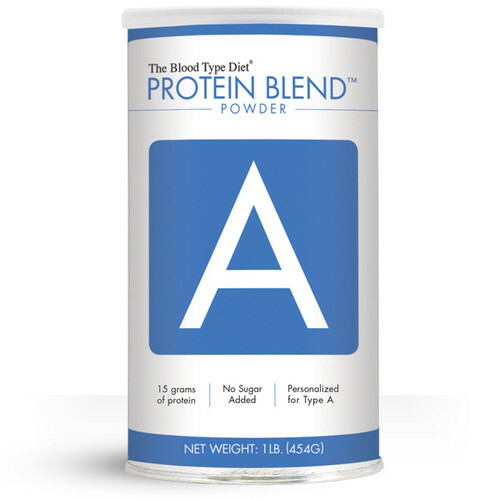 Dr. Peter D’Adamo specifically formulated different protein blends so that you can get the absolute most from your workouts. Scoop some into your favorite smoothie or Blood Type Diet compliant juice and start your day off right! Back in October of 2016 I decided to take the plunge and try the Blood Type Diet. I heard about the plan from a distant cousin who was, like me, a Blood Type A individual. She suggested I buy the Eat Right 4 Your Type book and begin the program it suggests. I took the words in the book to heart and began to do what it recommended for me. I ate more fruits and vegetables than usual and replaced meats with tofu. While all of these changes were huge factors in my improved health, the most profound change came from discontinuing my consumption of foods on the Avoid list for Type A. While it felt hard at first because there were several foods that were part of my regular diet that appeared on the list, I lost weight and felt livelier during the process, which spurred me on and made me want to keep going. One particular moment that stood out to me was when I ate a black bean soup that appeared in the 4 Your Type Cookbooks. Not only was it delicious, but it featured a beneficial food for me. 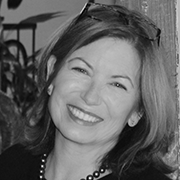 Beneficial foods are not just healthy; they act as medicine for the types they are meant for according to Dr. D’Adamo. I never thought they would have the effect they did though. Upon eating the leftovers of the soup on the day after my first serving, my blocked nasal cavity cleared up. For years this issue existed, and I had grown to think there was no solution. But on that day, with that beneficial black bean soup, it opened up and remains better ever since because I remain compliant to the diet. I called one of my close friends the moment it happened and they were as shocked as I was. The Blood Type Diet stopped the inflammation in my nose that I never realized was based on bad food choices. I will continue to follow the diet as long as I live so I can keep looking and feeling healthy! People Magazine listed the Blood Type Diet at #34 on their list as a way to get healthy and feel your best for the summer months! Popsugar Australia featured an article that described someone who had unrelenting acne and blemishes that finally beat them by following the Blood Type Diet! 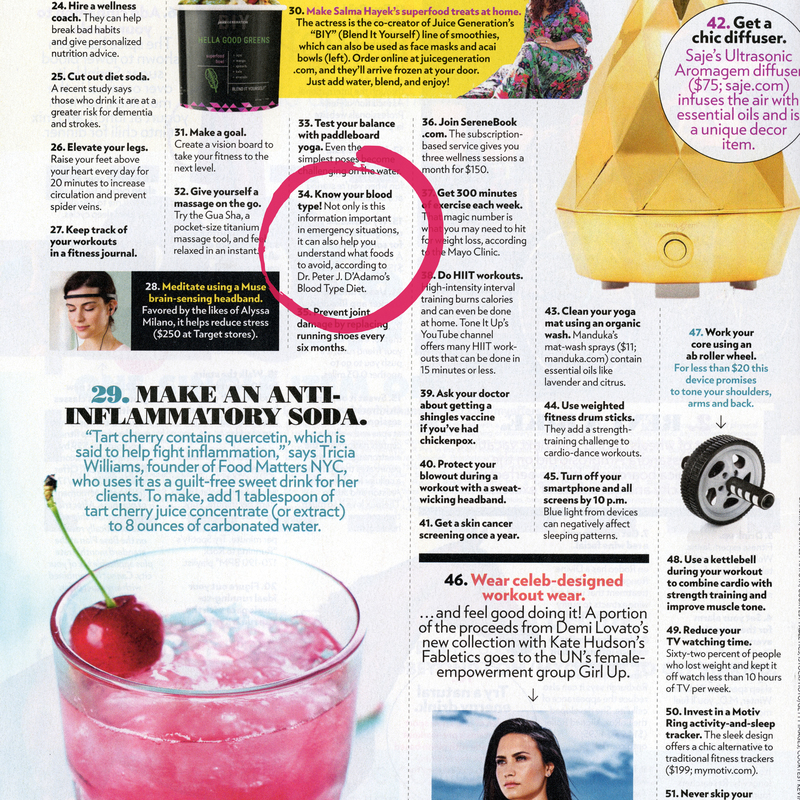 Marie Claire lists lots of popular diet options and explains them briefly. The Blood Type Diet made the list! Elyse Taylor is one of the most in-demand models in the business right now at age 30 and she attributes much of her overall beauty and health to the Blood Type Diet! Satay is an Indonesian dish that traditionally consists of chicken marinated and cooked with peanut, shallots and chili sauce. 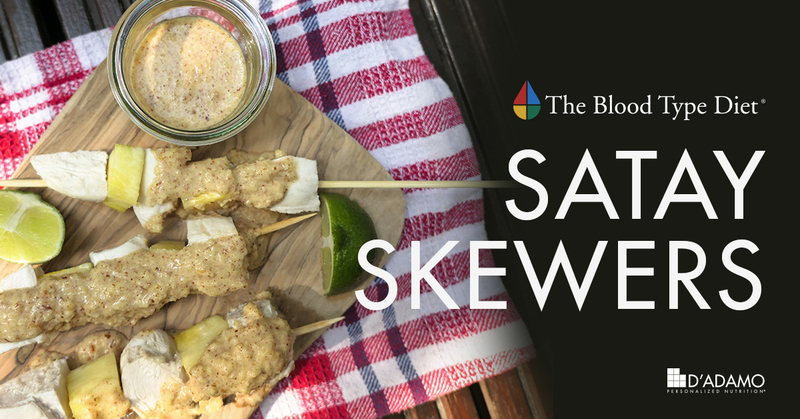 A light and fun dish to have served on skewers, it is perfect for picnics and barbecues. 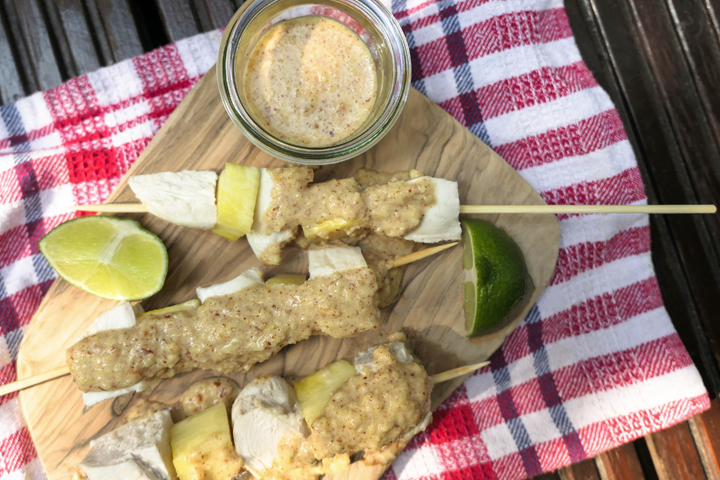 With the heat of summer, we have prepared a satay inspired recipe with poached poultry and fresh pineapple, easy to prepare and take out. This lighter version is refreshing and suits all blood types. Our satay skewers use seasonal, fresh, juicy pineapples that are available throughout the year. The sauce is made with almond butter instead of peanuts, which makes the sauce thick and luscious. We omitted the traditional chili as many are sensitive to it, but feel free to add a small teaspoon of paprika in the sauce if you want to add some spice. 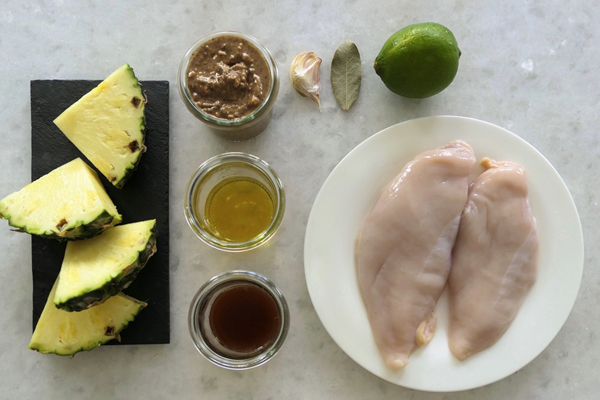 1 Turkey breast for Blood Types B & AB or 2 skinless and boneless chicken breasts for Blood Types O & A.
Peel and chop the pineapple in one-inch cubes and reserve. Prepare 1 ½ cups of chopped pineapple for the sauce and keep about 10 to 12 cubes for the skewers. In a medium sized saucepan, place the turkey/chicken breasts with the bay leaf and cover with water at room temperature. Add a pinch of salt. Gently poach the poultry meat over a low heat 10 to 15 minutes (depending on the weight of the meat), until firm to the touch. Poaching is a great way to keep meat tender while not using fat to cook it. Once it is cooked through, drain from the water on a plate lined with a paper towel and reserve. In a food processor, combine the almond butter, pineapple, agave syrup, the garlic clove, lime juice and tamari. If you are a Type O Non-Secretor, substitute the tamari for the poaching stock you saved. Mix until the ingredients are well combined and a sauce forms. Transfer the satay mixture to a pan and heat over medium heat for about 5 minutes. The sauce can be made chunky or smooth based on your preference. On a cutting board, cut the turkey breast in 3 equal parts lengthwise, then in 4 widthwise. If using chicken breasts, cut them in half lengthwise and in 3 widthwise. To make the skewers, simply alternate a poultry cube with a pineapple cube. Pack the sauce separately. You can use it as a dip during your outing, or cover the skewers with it and serve immediately!